Pacific Metal Stampings is an industry leading in inconel 718 stamped components. Inconel 718 is an age hardening nickel-chromium-molybdenum alloy used in the electronics, construction, aerospace, defense and medical industries. 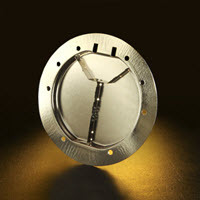 At Pacific Metal Stampings we offer custom Inconel tooling for any application. Our most common Inconel component parts include fasteners, washers, springs, flat washers, and shim washers.